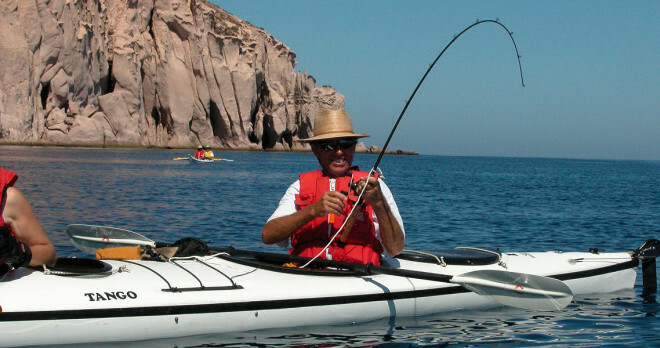 For this Baja Sea kayak tour, we meet in the quaint fishing town of Loreto, on the Sea of Cortez. From there we’ll travel by van and skiff to our launch site at Agua Verde. 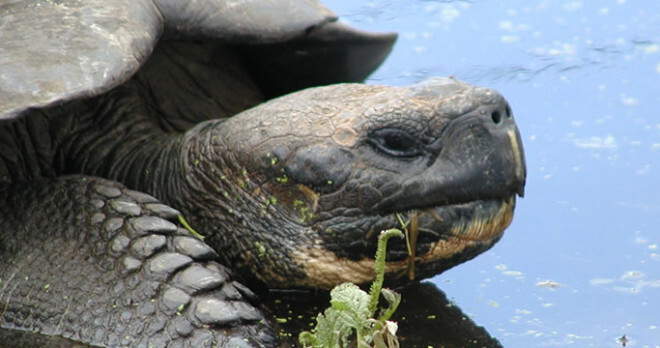 This is a supported trip and skiffs or “pangas,” as they are called in Baja, accompany us as we paddle. 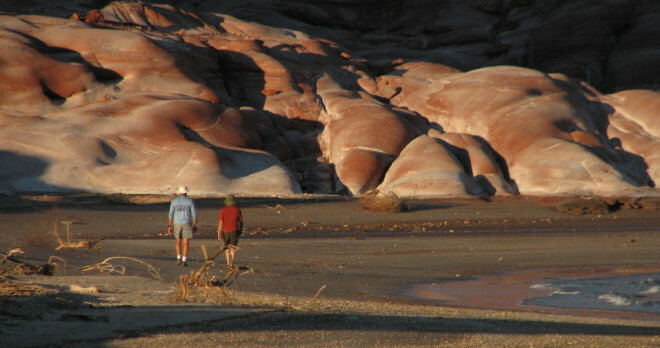 Besides providing a greater margin of safety and a resting spot for tired paddlers, the pangas carry all of our camping gear, fresh food and drinking water. 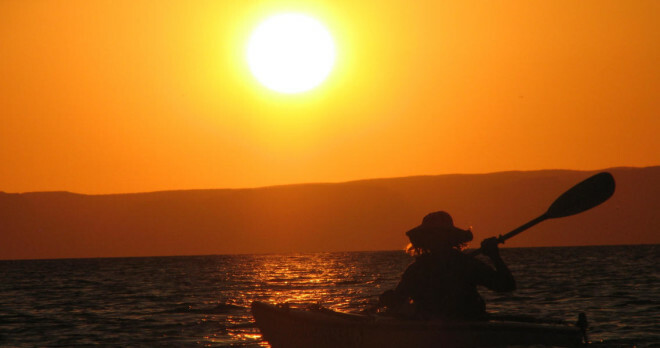 Our kayaks will be light and fast, allowing us to paddle approximately 3-5 hours per day. The turquoise water is an inviting friend after a day’s paddle. With mask and snorkel we will be able to observe the fabulous underwater display of rock formations, coral beds, schools of tropical fish and even an old ship wreck. 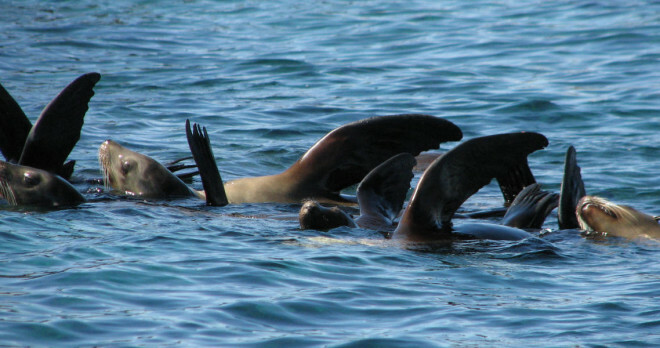 If we’re lucky, sea lions, dolphins and whales may also be sighted. 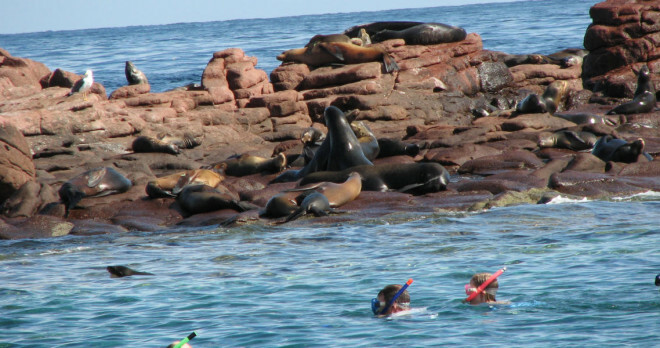 The Sea of Cortez is truly a world class marine sanctuary. 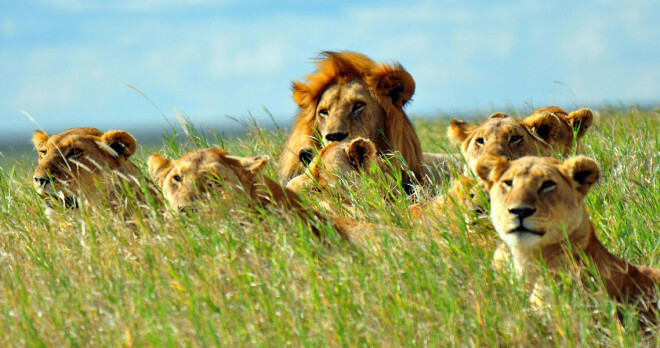 Single Supplement: Hotel rooms – to reserve a single hotel room or if we are unable to pair you with someone, you will be charged a single supplement of $125 (this also includes a single tent for the trip). 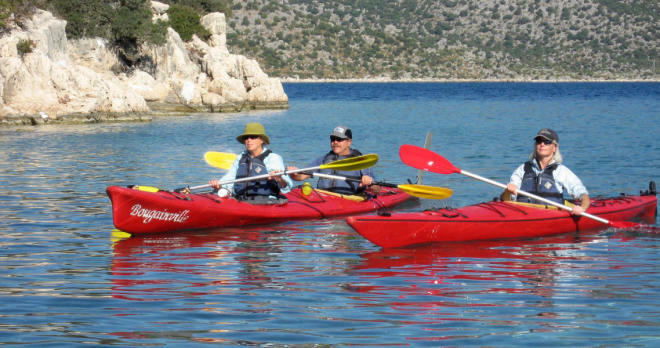 Single kayaks – to reserve a single sea kayak for the trip, there is an additional charge of $50. 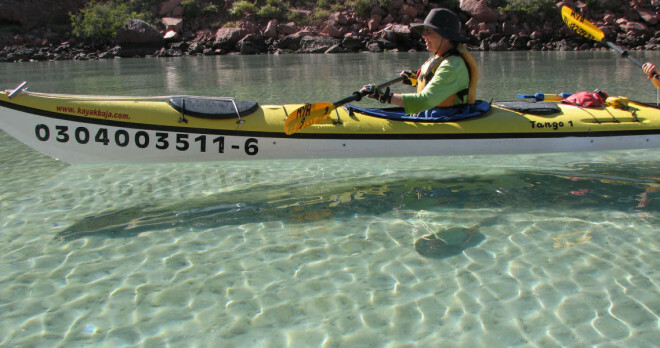 There are a limited number of single kayaks we can bring on the trip. Single tents – to reserve a single tent, there is an additional charge of $25. 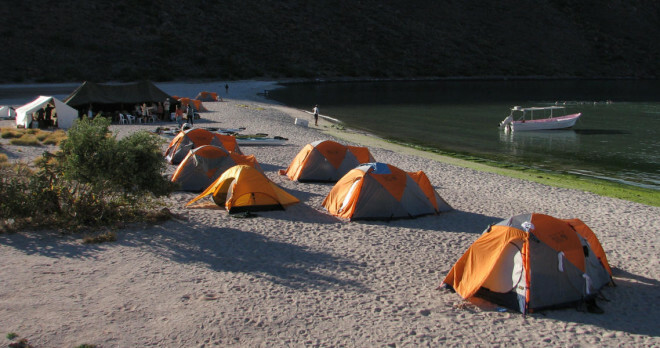 Airfare, airport-hotel transfers, beer or soft drinks (there will be an option to purchase these and we will provide coolers with ice for storing them at camp), personal gear such as sleeping bags, pads, snorkel gear and wet suits (available for rent in Baja) and guide gratuities. 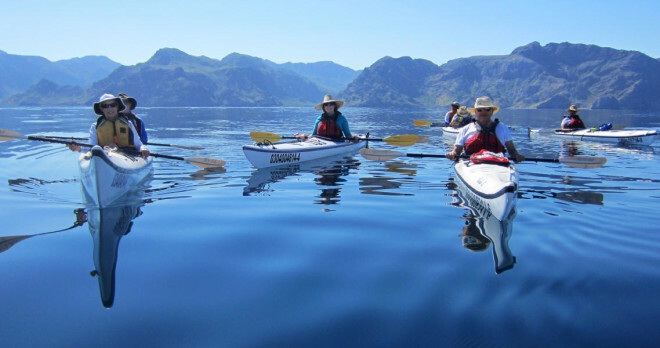 We rate this trip suitable for beginners through advanced paddlers and we provide instruction in both double and single kayaks throughout the trip. 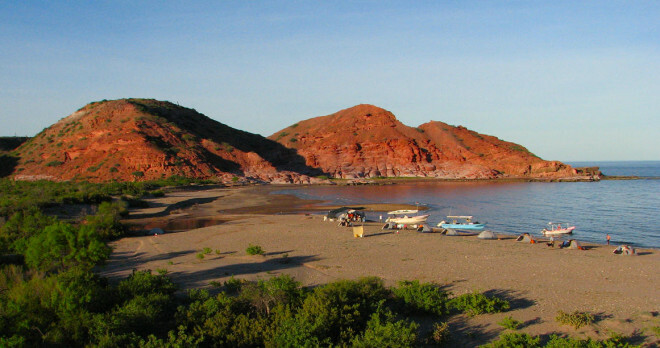 Travel day, arrive in Loreto and transfer to your hotel. The afternoon is yours to explore this charming little town. We will meet the group in the evening (time to be announced) in the hotel lobby for a trip orientation. 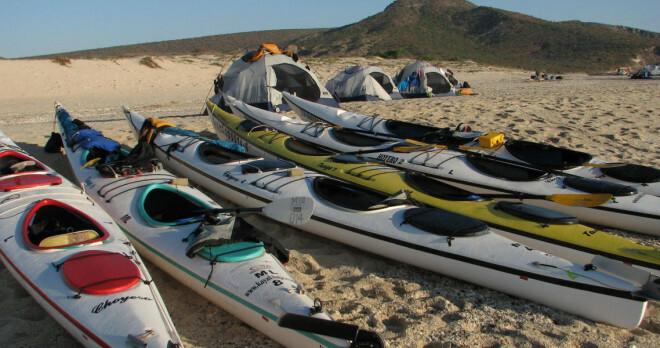 After transporting everyone to Agua Verde we launch our kayaks and begin the southward journey along the Baja coast, camping on secluded beaches each night. 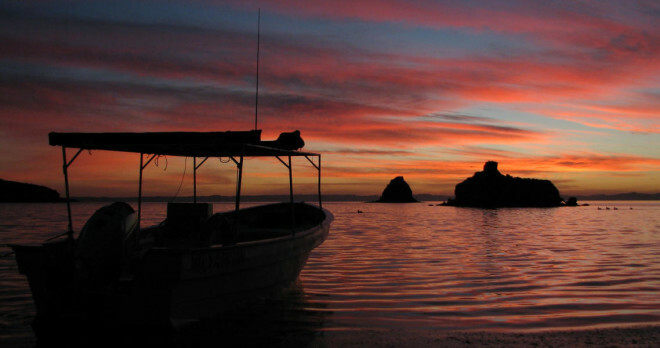 Welcome to “Baja Time,” with spectacular sunrises, enjoyable hours on the water in our sea kayaks (approx. 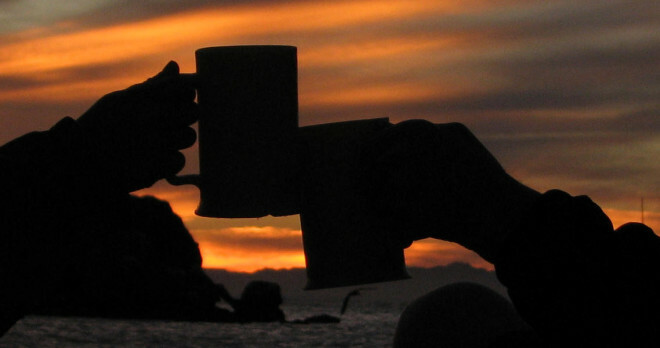 3-5 hours per day), fishing, snorkeling, a relaxing happy hour, great food, an outrageous sunset and good conversation …a hard schedule, but we can handle it! Return to La Paz, lunch on route, check into the hotel and the rest of the day is yours to explore La Paz. That evening we invite you to join us for a festive farewell dinner (restaurant meals are not included in the price of the trip). Departure flights leave La Paz. 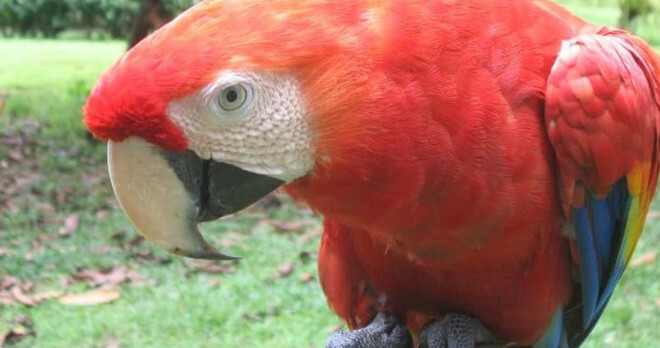 Or, you may choose to stay an extra night in La Paz to let your trip soak in. 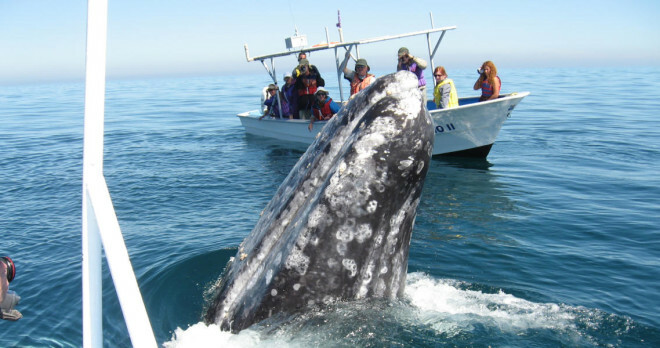 Depending on conditions, with an extra day in La Paz, you could book a day trip to snorkel with Whale Sharks. 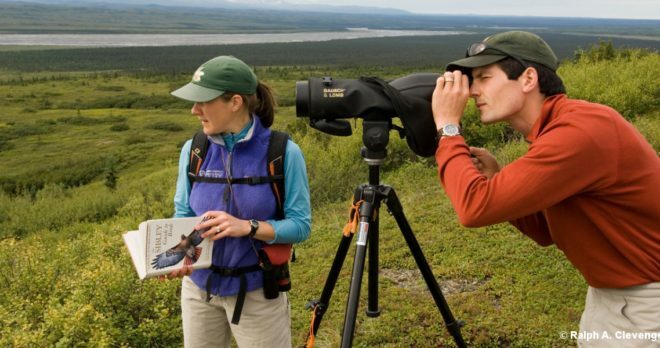 ITINERARY CHANGES MAY BE MADE DUE TO LOCAL CONDITIONS BEYOND OUR CONTROL OR BY DISCRETION OF GROUP LEADERS.